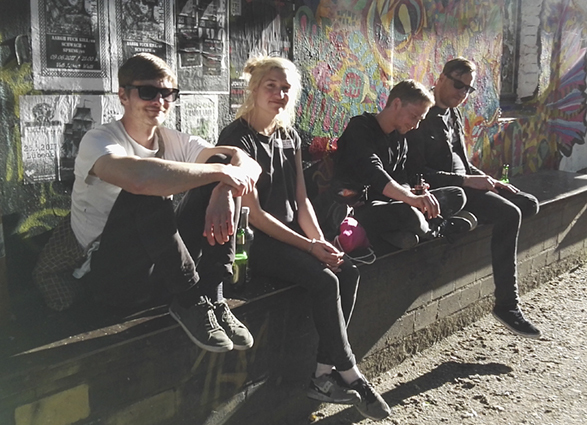 Static Means is a post-punk band from Leipzig, formed in 2012. We love punkrock – because it helps us to express the struggles of everyday life and the monotonous recurrency of lust, disappointment, happiness and a sometimes overwhelming frustration. Somehow inspired by these emotions, we find ourselves mostly influenced by wave and melancholic “sort-of-punk”- bands. Moreover, as part of the DIY subculture and music scene, we strongly oppose any kind of oppression as for example sexism or racism and we won‘t accept them at our shows. To cut the matter short: for us, all these notions come together in what we would call punk.